Road into Bellshill will be closed on Sunday. Drivers face a diversion when a main road into Bellshill is shut for repairs on Sunday. Part of Gartcosh Walk will be closed to eastbound traffic from 5am to 3pm. 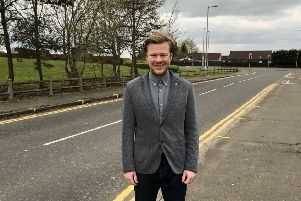 It means drivers heading to Bellshill town centre from Bellziehill roundabout will need to take a detour via the A725 and Bellshill Industrial Estate. Traffic going from Bellshill to Bellziehill will not be affected.